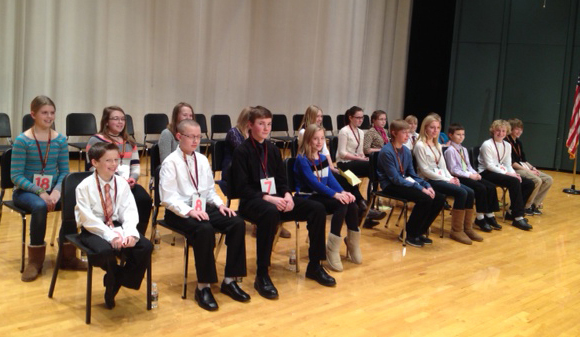 Despite the subzero temperatures outside, eighteen top-spelling contestants represented all three middle school grade levels at the 30th annual District Spelling Bee last night. Only the top three competitors will advance to the regional bee in Rochester on Feb. 11. Eighth grader Hannah Pahs was the champion speller, with the word Aerodynamic. Joseph Pesta, grade 8, took second place; and the third place winner was Elijah Leer, also grade 8.